News: F100 winner - Well done Lesley! F100 winner - Well done Lesley! 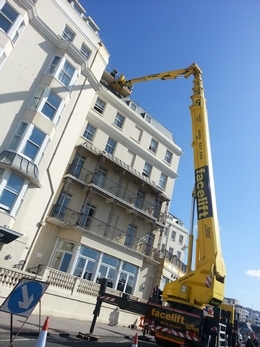 This month’s F100 winner is Lesley Woodland, who spotted this Facelift Bronto working at The Royal Albion Hotel as they waited in traffic on their way to the Brighton Marina. The machine was being used to carry out maintenance works on the building. Well done Lesley, and don’t forget to send your pictures of Facelift kit at work for a chance to win £100.